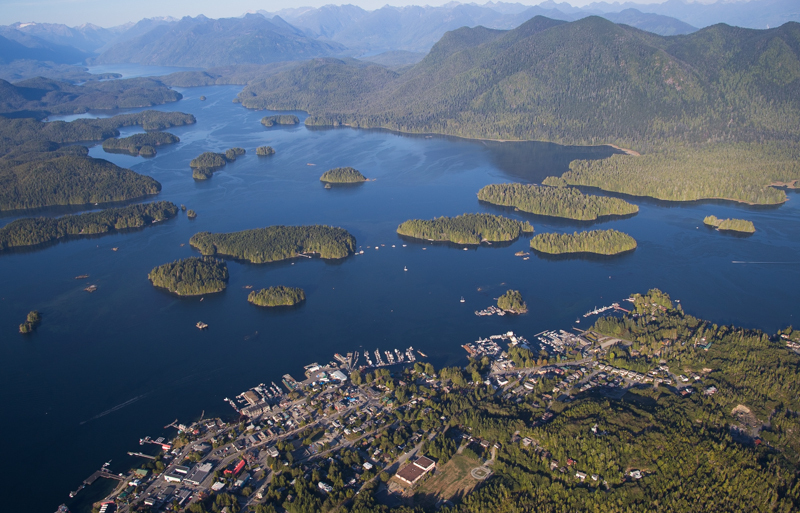 This is Tofino in all it’s glory! The last (visible) wavelength to be seen at sunset is Violet. It’s the most delicate colour as well. The contrast is always weak with it,because the sun has almost completely set. Not much intensity. But the softness is incredible! This is one of the reasons why I waited so long to go on this aerial shoot. I wanted to shoot Tofino with the full moon rising over it. I wanted to use my big lens to compress the scene and as a result get the moon huge over top of Tofino! Unfortunately, the best laid plans often times go a skew ! The moon was rising too far north! Because Tofino looks to the North,the only angle you can shoot it with the moon behind it ,is from the NW looking to the SE. The moon was way too far north and after realizing this, I was very disappointed. I can’t have any clouds on either the eastern or western horizon’s on those two dates. 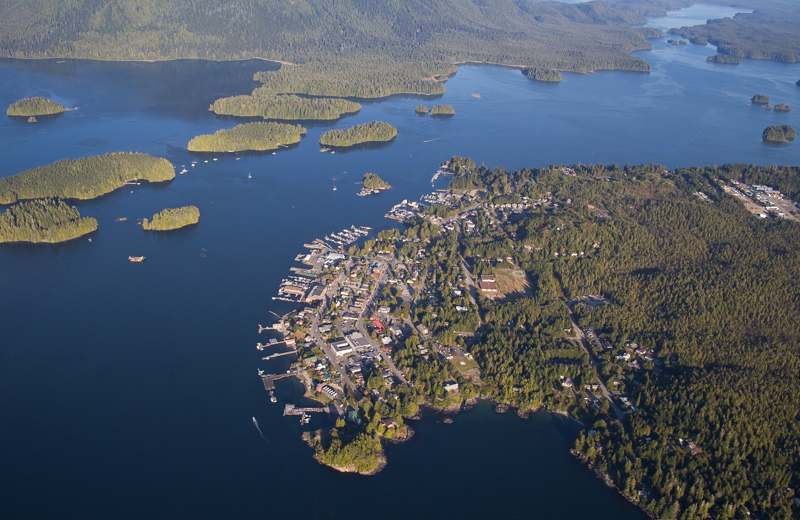 I also will have to be about 10-15 miles away from Tofino to the NW looking back to the SE. I don’t even know if I can line the two up? 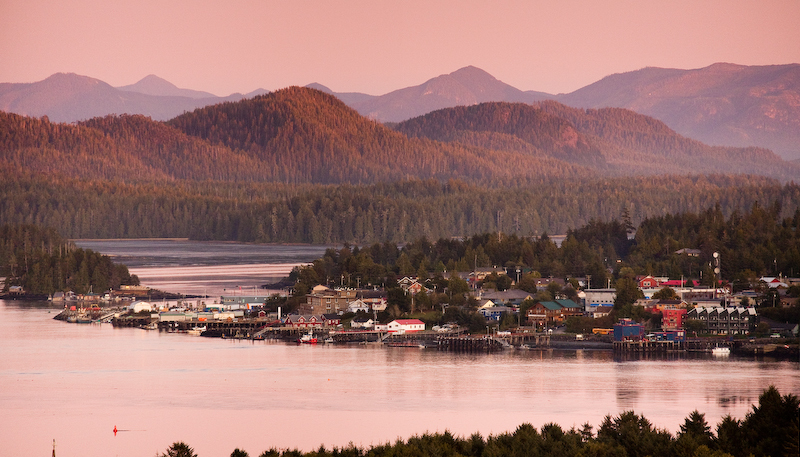 A horizontal shot with the full moon on the far left and Tofino to the right would be what I would settle for. 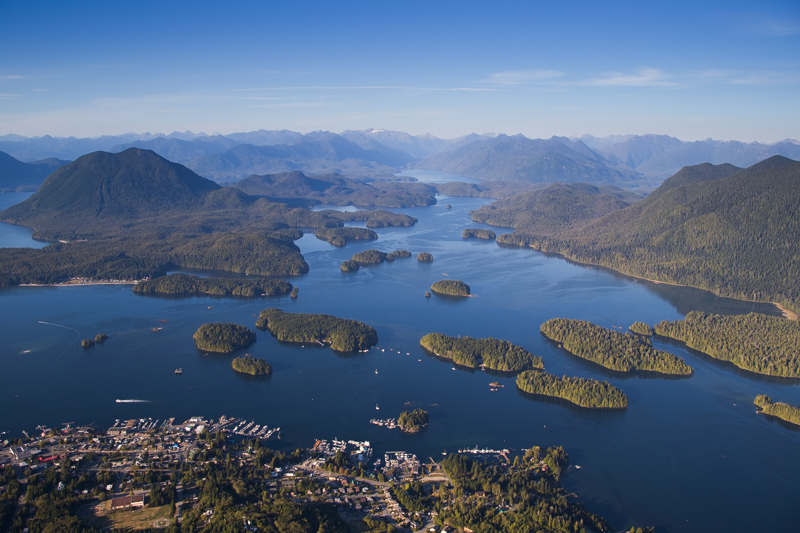 This shot is looking NE and shows Tofino’s local beach,Tonquin. It can be walked to easily and is a great spot to watch the sun go down. Wickaninnish Island lies to the west and unfortunately cuts off the sun right before it sets,from this location. I came by when Jay was putting his plane back into the ocean after being serviced. Thats Jay in the boat waving.